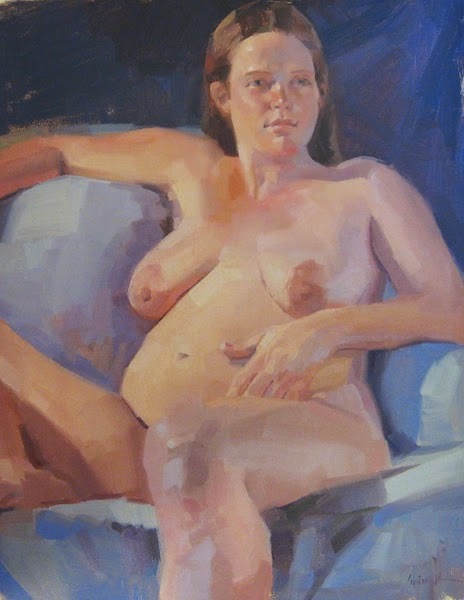 I've wanted to paint a pregnant model ever since I fell in love with Alice Neel's work, back in college. I don't really paint like Neel, but I'm inspired by the frankness with which she sees her subjects - and the fearlessness of her paint handling. She obviously had zero fear of a blank canvas! I've painted this woman many times, but this is the first time during her pregnancy. It's true what they say - and I witnessed this in myself when I was pregnant - there's a radiance that comes with the territory. I hope I captured just a little of it. Lemon Wedges - A one dollar auction!